Who is the Dan guy? Dan has been named Wisconsin Professional Photographer of the Year four years in a row and Artist of the Year two straight years. Dan has earned many awards including the Canon Par Excellence Award, Fuji Masterpiece Award, two ASP State Elite awards, PPA Platinum, Gold and Silver awards and three Kodak Gallery Awards. Dan has also been honored to have his images published in several magazines including the cover of Professional Photographer. 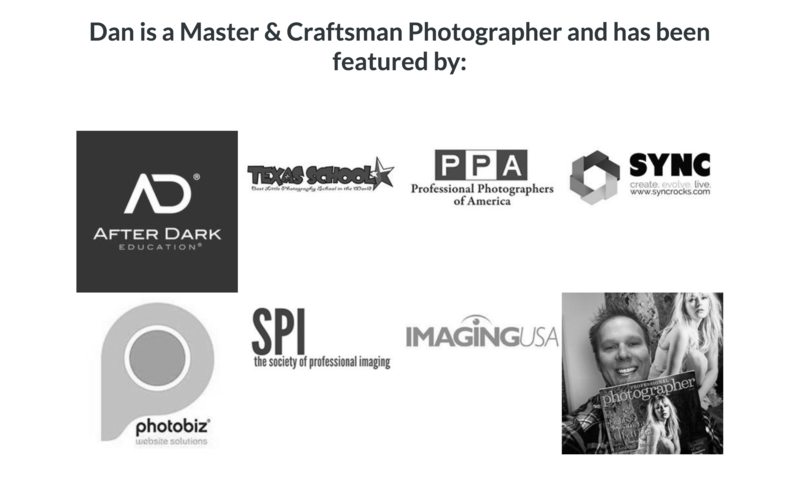 Due to the high demand for Dan to share his photography knowledge, he began speaking around the country for several states and national photography conventions including Imaging USA, SYNC (Senior Youth National Conference), After Dark Education, SPI (Senior Portrait International) and Texas School for Professional Photographers. In order to help educate even a larger, global audience Dan also presents live Masterclass Programs via webinar platforms and runs Seniors Unlocked while still actively doing photography as Frievalt Photography. If you are having problems please check the FAQ section before emailing. Many common questions are answered for you there.